The secret of our success is very simple - we respect our clients, provide them with only the highest quality commodities and work with the largest and the most reliable suppliers. What we offer is not just the reliable mechanisms, we offer stylish and desired Vaporizers that will present you as the owners of a prestigious product. Your body is a temple and your health is PRICELESS. The Atmos Boss is a high quality portable Real Dry Herb Vaporizer Kit that produce true hot air vapor! It has a high grade stainless steel heating chamber made for dry herbs. 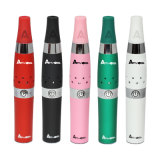 The Boss is easy to use and maintain providing great vaping experience. This Kit Includes: 1 - Atmos R2 Li-Ion .. The Atmos Jewel vaporizer kit is commonly used to heat up dry herbs. 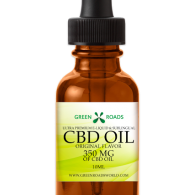 This vaporizer can also be used with concentrated waxy oils. This Kit Includes: 1 - AtmosRx battery 1 - Ceramic Heating Chamber 1 - Spring 1 - Mesh Filter 1 - Glass Screen 1 - Chamber Connector 1 - C..
AtmosRX Jr. Vaporizer compact sized for more discrete look. Suitable for all occasions and durably built to last. It’s Convenient for those who enjoy bike riding, skiing, and always on the go. This advanced vaporizer heats up your waxy oils evenly in a closed wickless ceramic chamber reducing the ar.. 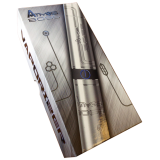 The Atmos R2 Kit is designed with a special anodized heating chamber used to heat dry herbs & vape waxy oils. Its sleek curve offers a relax feel when held and stylish exterior that also provides smooth air flow. You’ll enjoy the quality, Stability and performance of the R2 portable vaporizer bu.. 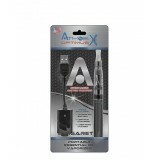 The AtmosRx Dry Herbs vaporizer kit is commonly used to heat up dry herbs. This vaporizer can also be used with concentrated waxy oils. This Kit Includes: 1 - AtmosRx battery 1 - Ceramic Heating Chamber 1 - Spring 1 - Mesh Filter 1 - Glass Screen 1 - Chamber Connector 1 - .. The 510 Optimus X Blister Pack is simply the ultimate starter kit used for E-Liquids and other oils. The measuring scale lets you see the amount of oil remaining in the cartridge. The unique heating chamber heats your oils evenly and neatly. This Kit Includes: 1 – Li.. Bound by the Crown Is a twist on traditional fruit flavors Its perfect balance of sweet custards,spice, and ripened stone fruits. ..
By checking this box you agree that you are above 18 years of age and/or you are of legal age in your state to enter this site.